Located at 235 N Hoover Street, Los Angeles at the confluence of the emerging market neighborhoods of Silver Lake, Koreatown, Hollywood, and Filipino Town, where 30,000 residents live within one mile. 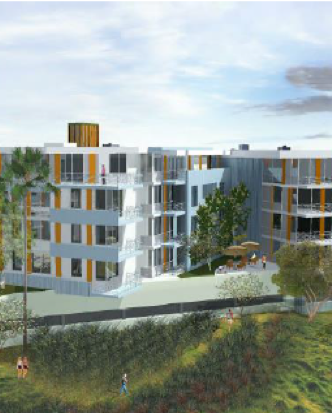 The residential development is planned for four stories of 212 residential units over two levels of subterranean parking. 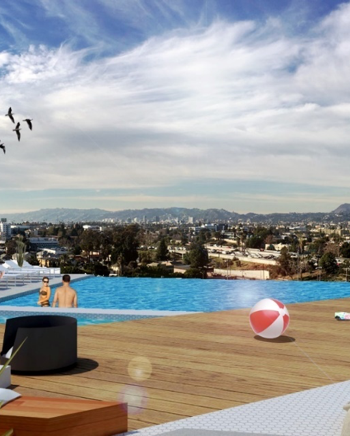 This development will create 360-degree panoramic view for the residents.